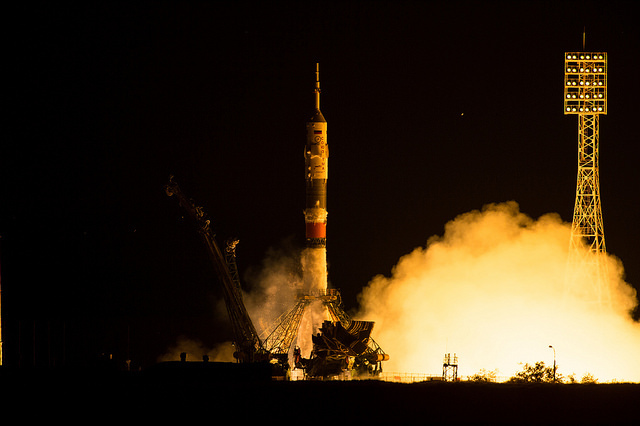 Two spaceflight rookies and a veteran Russian cosmonaut blasted off from Kazakhstan and flew to the International Space station on Wednesday, riding a Soyuz spaceship from a predawn departure from Earth to a high-altitude linkup with the orbiting research lab. 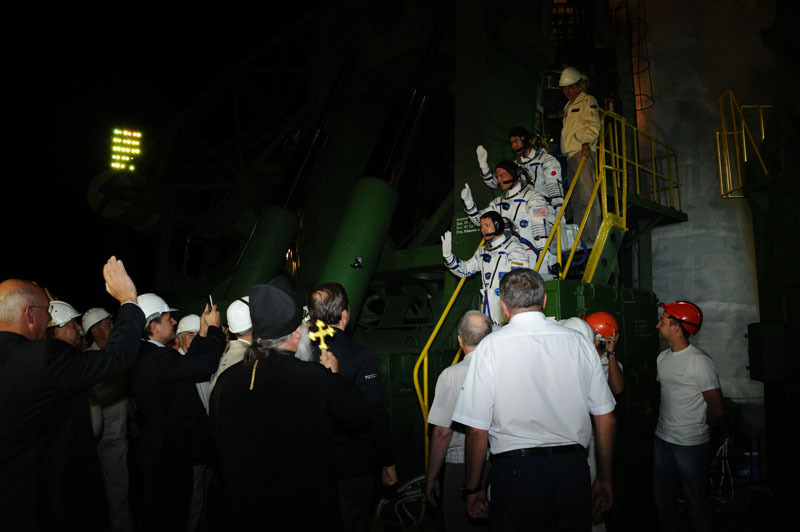 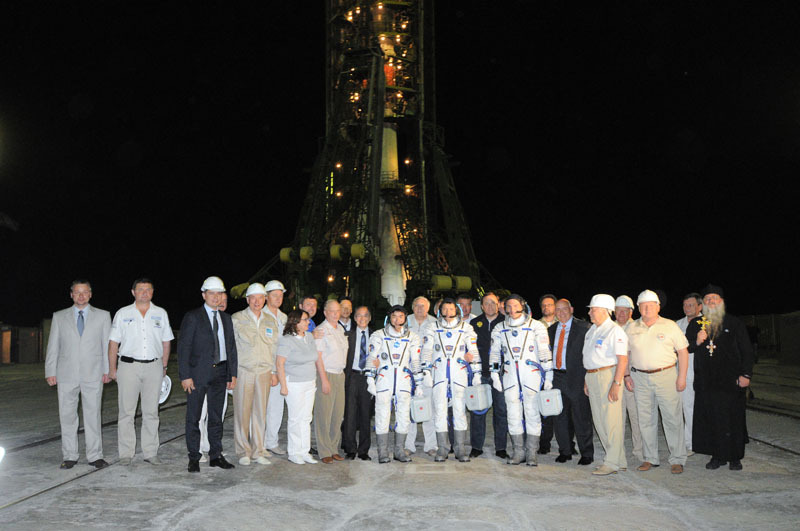 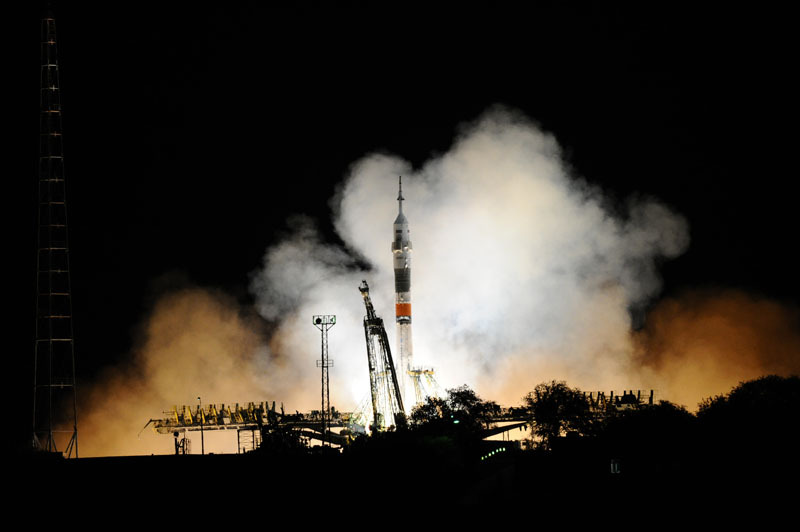 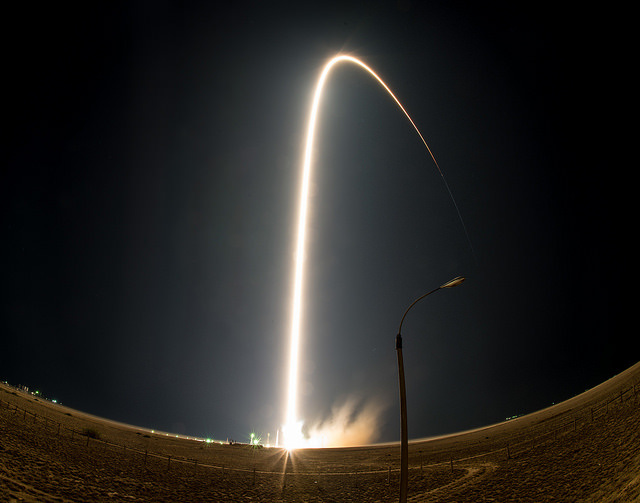 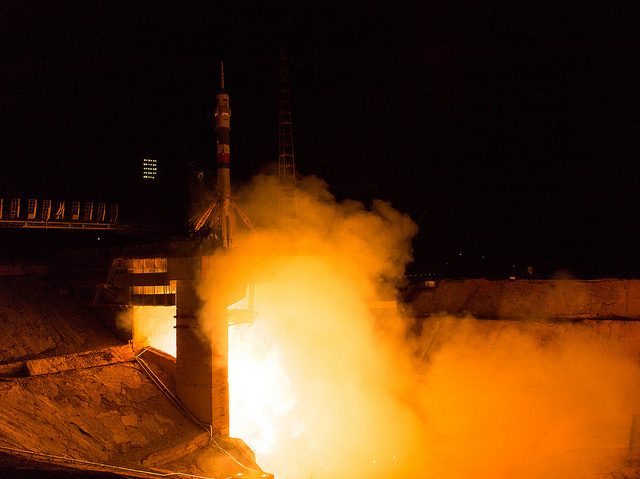 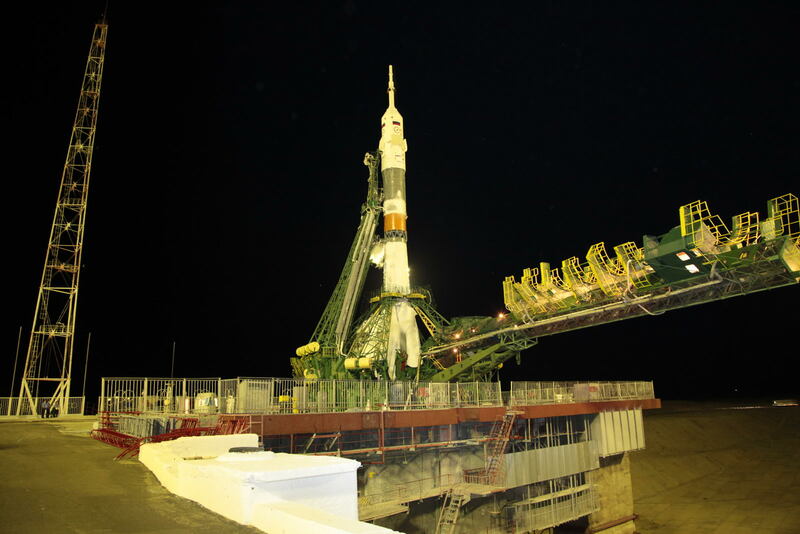 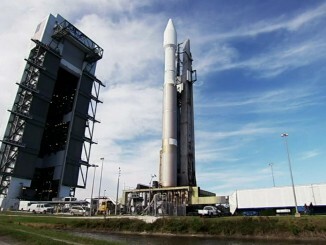 The kerosene-fueled Soyuz rocket lifted off at 2102 GMT (5:02 p.m. EDT) Wednesday, or 3:02 a.m. local time at Baikonur. 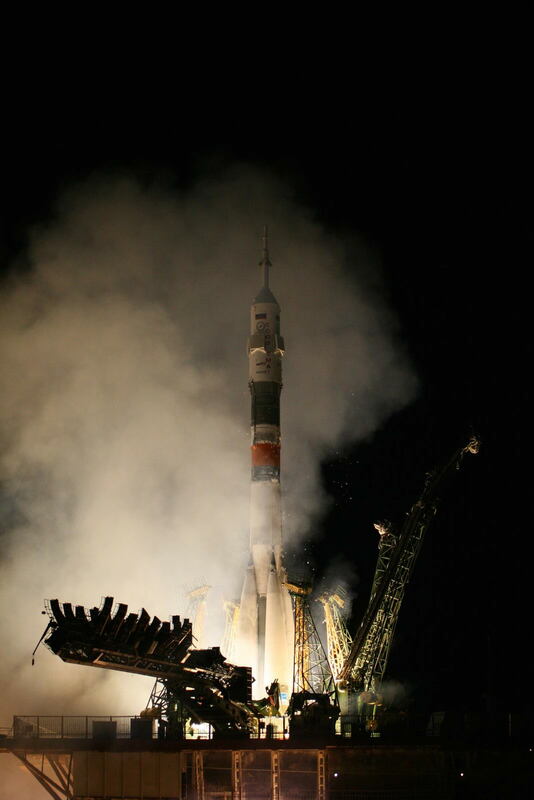 Ten minutes later, the third stage of the booster released the Soyuz TMA-17M spaceship in orbit with Russian cosmonaut Oleg Kononenko at the controls, flanked by Japanese flight engineer Kimiya Yui and NASA astronaut Kjell Lindgren. 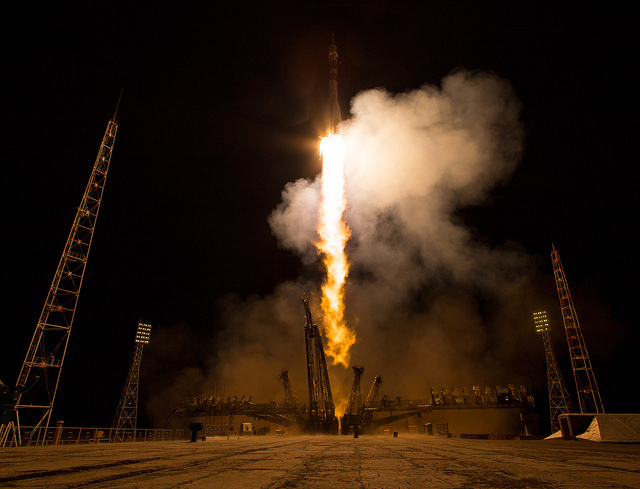 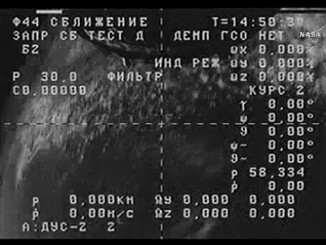 One of the Soyuz ferry craft’s two solar arrays did not extend as designed, but the problem had no effect on the capsule’s approach to the space station, which ended with a radar-guided rendezvous and docking at 0245 GMT (10:45 p.m. EDT), about 5 hours and 43 minutes after liftoff. 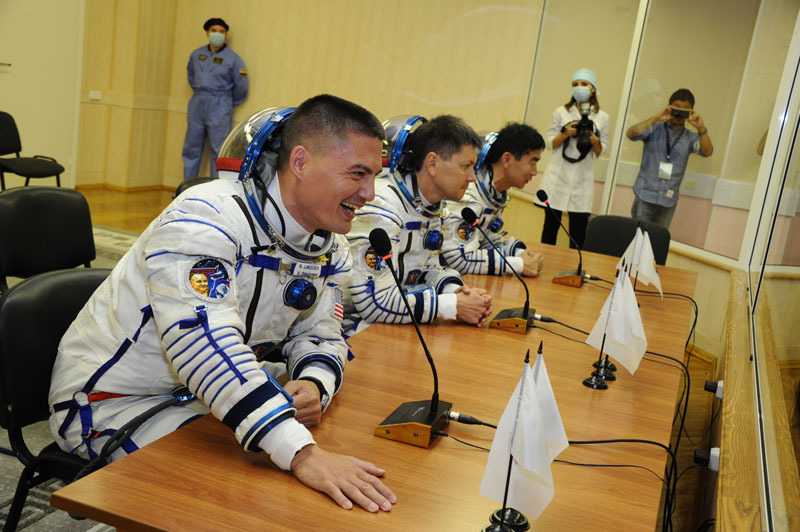 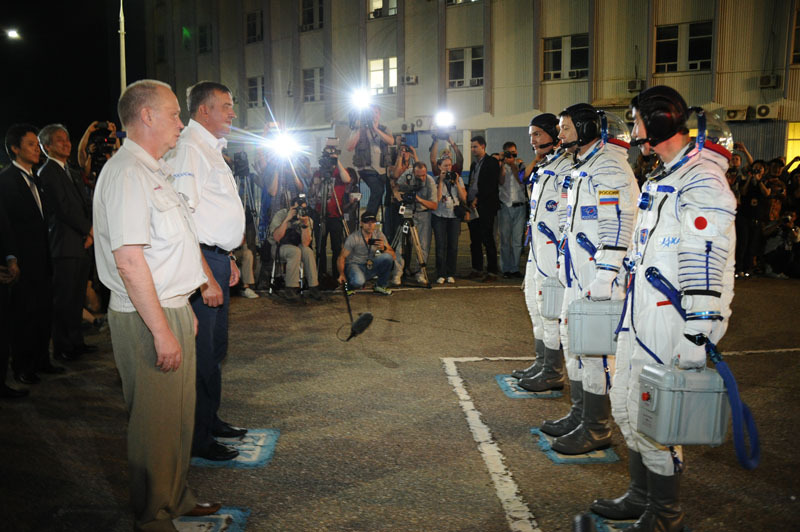 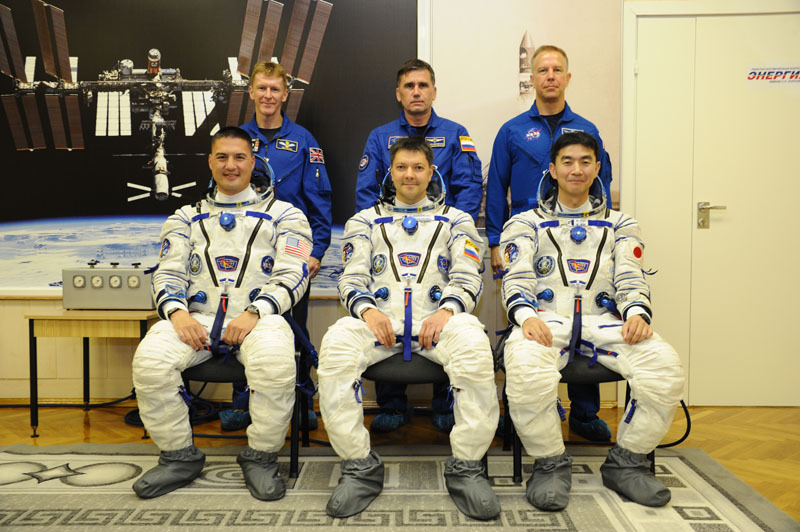 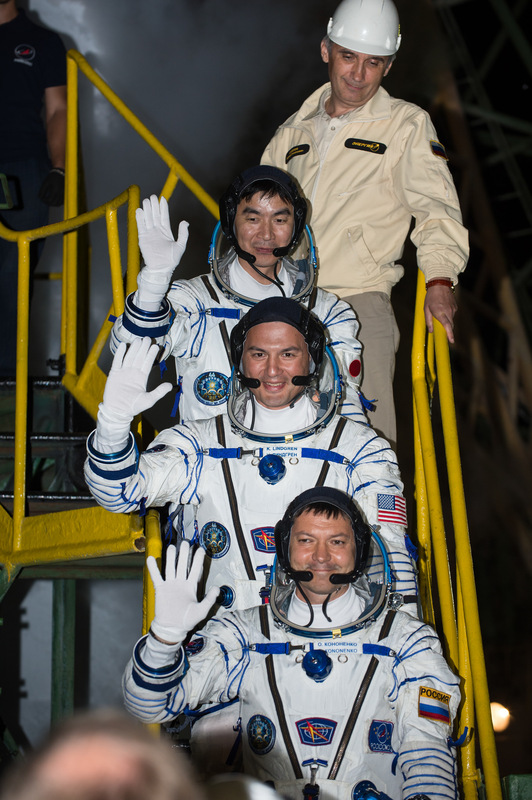 The photos below show Kononenko, Yui and Lindgren in their Sokol launch and entry spacesuits as they undergo pre-flight checks and ride to the launch pad before liftoff.